An abundant life is one where you have the ability to create, explore, and experience your desires consistently. 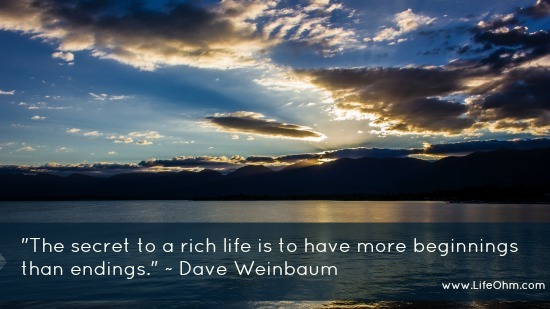 Abundance may include financial wealth, but it also includes having a rich life, full of meaning and joy. 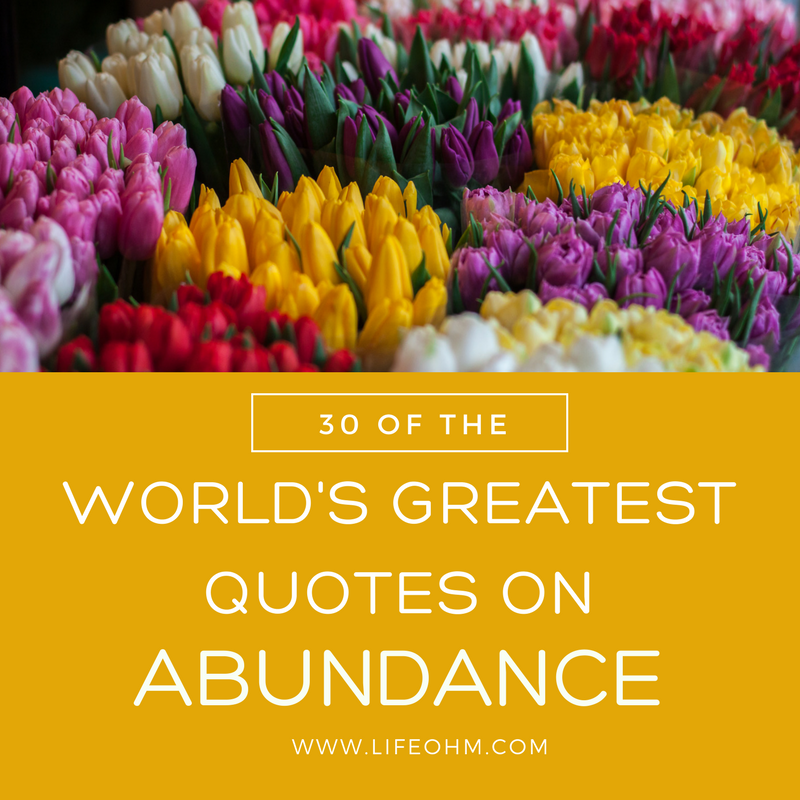 If you’re ready to live abundantly, or just need some inspiration, here are 30 of the World’s Greatest Quotes on Abundance. Which one is your favorite? Share your thoughts, or your own quote in the comments below. 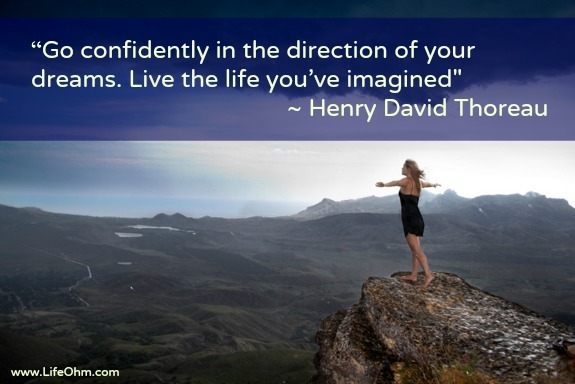 If you wish you felt more confident, you’re not alone. Everyone experiences fear and uncertainty at some point in their lives. Everyone has a lack of confidence about something. If you are striving to do new things or pushing your boundaries, it can be difficult to stay confident, even if you’re usually a confident person. 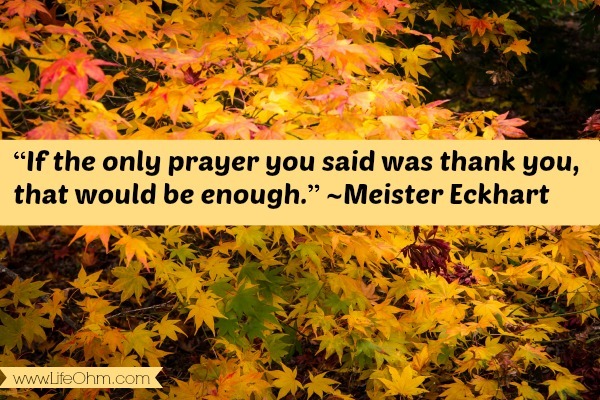 Thanksgiving is almost upon us and is a great reminder to practice gratitude for all the wonderful things in our lives. Feeling gratitude is not only a nice thing to do, but studies show that it can improve our health, reduces feelings of depression, anxiety and sleep disorders, it improves our relationships, and increases feelings of happiness and well-being. A pretty powerful tool by any standard. People have contemplated happiness since the beginning of time and there are many thoughts and theories out there on what makes us happy. 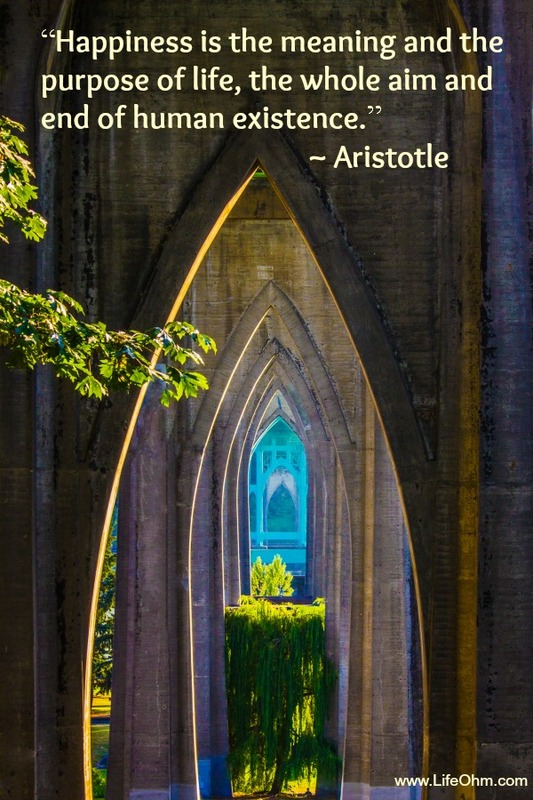 In reviewing the best known quotes on happiness, however, definite themes begin to emerge. Some of these themes include, happiness is what all humans desire, and that sometimes the pursuit of happiness may actually keep us from finding it. Many also talk about the importance of love for happiness, being open and sharing with others, and how our thoughts determine our happiness levels. As you read through these quotes, what themes do you see? How can you apply them to your own life? I’d love to hear your thoughts in the comments below. When we live in harmony with our authentic selves and align our work, habits, relationships, money, thoughts, and actions with our true values, we experience a greater sense of peace and happiness in every aspect of our lives. We are able to achieve things that before, we could only dream about. When we’re not in harmony in these areas, we experience more fear, feelings of lack and limitation, restlessness, doubt, and dissatisfaction with our lives. Over time, this causes a strain on our health, our relationships, our sense of well being, our careers, and keeps us from achieving our full potential. 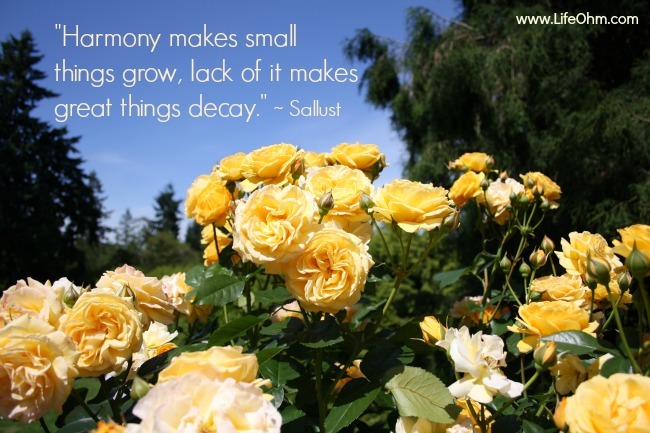 Living in harmony is a practice – it’s a conscious choice of how we want to live. Some of the greatest writers and philosophers have pondered a life lived in harmony. Here are some of their best quotes on the topic. What is your favorite quote or thought on harmony? Please share it in the comments below. Thank you for visiting LifeOhm – I’m glad you’re here! 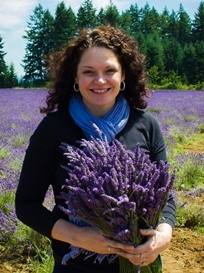 I’m Monica, owner and founder of LifeOhm, LLC. LifeOhm was created to help individuals, just like you, optimize their health and wellness, while also creating more joy and happiness in their life. Read more.